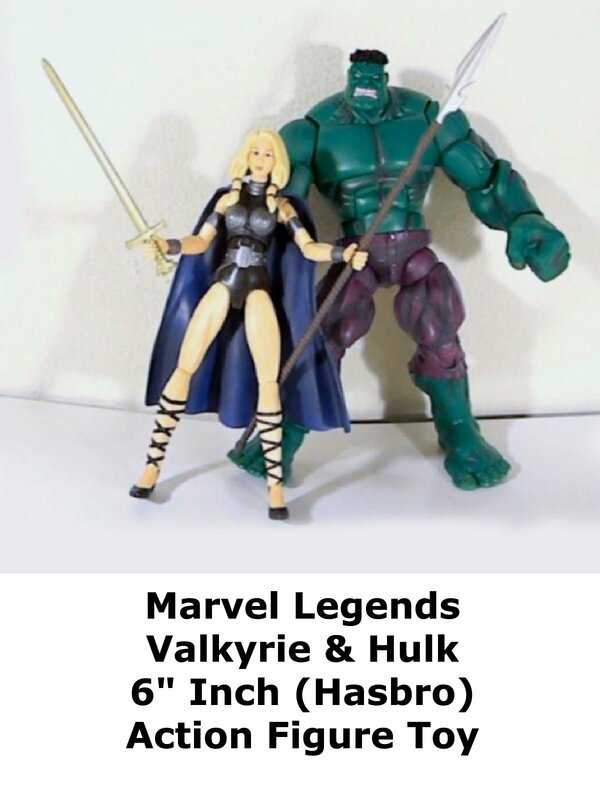 This is a Marvel Legends Valkyrie and Hulk review. It is in the 6" inch scale. Made by Hasbro it's a really nice 2 pack set, but also expensive to buy now. Recently Hasbro made another Valkyrie but the costume is not as good as this classic version. And this Hulk would go along well with Red Hulk the build a figure both use the same base body. Overall just a really nice set to buy.